Foundation cracks are a common problem noticed by many homeowners. Often caused by concrete shrinkage, soil settlement, or thermal expansion, foundation cracks pose a severe threat to your home. When the soil beneath your foundation settles or shifts, your foundation can shift with it, causing cracks in your foundation walls. Cracks can make your home structurally weaker, and they can also let in water and unwanted visitors such as rodents, snakes, or insects. 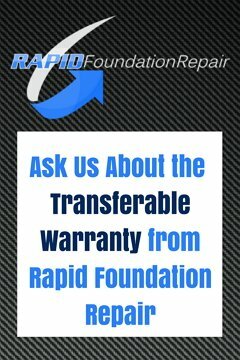 At Rapid Foundation Repair, we offer multiple different options for foundation crack repair. Trust us to fix your foundation crack repair problems today. There are numerous kinds of foundation cracks, all of which point to a different problem in your home. Vertical cracks are often small cracks caused by the natural shrinkage of concrete that occurs while the concrete is curing. These cracks are generally small crack repair jobs and only need simple fixes such as wall crack injections. Wall crack injections are reliable, permanent, and will help save you money. Larger, diagonal cracks can cause more of a problem, with a more intensive repair job needed to keep the crack from spreading. Another type of serious crack is horizontal or stair step cracks. These are often caused by the increased pressure caused when the soil outside your foundation gets wet and expands. When the cycle of wet and dry soil continues over many years, horizontal cracks appear that may lead to bowed walls. 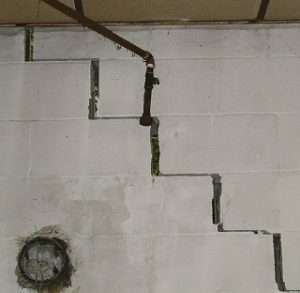 Apart from wall crack injections, Rapid Foundation Repair offers many services to help fix your cracked walls. 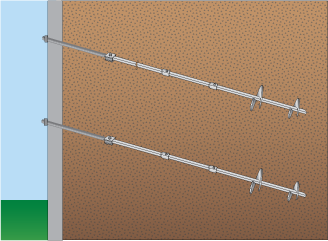 Our helical wall tiebacks and anchors can help support foundation walls, keeping the pressure that causes cracks off of your home. Helical wall tieback installation is quick and cost effective, ensuring the stability of your home for years to come. Whatever kind of foundation cracks you’re experiencing, give Rapid Foundation Repair a call. We can survey the damage and give you a free estimate. Don’t wait to take care of those foundation crack repair problems, call us today!